Most people know that Loss Assessors are very busy every time there is a flood or a storm, but they forget that fires happen all year ’round. Unfortunately there are fires in homes and commercial premises every day of the year. Every year in Ireland there are almost 30,000 fire brigade call-outs. Some may be forest fires, vehicle fires or rubbish being burned, but there are on average 9,500 domestic fires each year, and almost 1,000 commercial fires. Some of these may be a small electrical appliance or fuze board fire that are contained fairly quickly. Others get out of control and can cause complete destruction. Sadly, approximately 40 people die in house fires in Ireland every year. Even with a small fire, the smoke damage can get into every crevasse, nook and cranny. 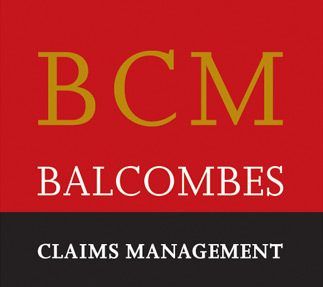 Balcombes get called out to assess the damage and know exactly what can be salvaged and what is a ‘write-off’. Most insurance policies are underwritten on a ‘new for old’ basis, and if an item cannot be cleaned or restored to it’s condition when new, the policyholder is entitled to a replacement. Fires in commercial premises result in approximately 80% of those businesses going out of business within 2 years. It is vital for business owners to take out Business Interruption insurance, to cover loss of profits and increased cost of working (also known as Consequential Loss cover). It is equally vital for policyholders to get expert assistance in preparing, submitting and negotiating a fire claim. A regulated loss assessor will know how to assess the loss and damage. They will prepare and compile all the necessary paperwork and negotiate settlement with the loss adjuster appointed by the Insurer. That way they have a vastly improved chance in being in the 20% who will survive and prosper.